Amy Swedberg, partner in Maslon's Financial Services Group, will co-chair the Turnaround Management Association's Mid-America Regional Conference (MARC) in Chicago on April 16-17, 2018. She will also participate in a panel discussion on "Alternatives to Bankruptcy" at the conference on Tuesday, April 17th, 2018. The panel will explore the advantages and disadvantages of the various alternatives to a chapter 11 bankruptcy filing, including state court receiverships, assignments for the benefit of creditors, UCC Article 9 foreclosures, and voluntary restructurings. Amy focuses her practice primarily on assisting lenders and other commercial creditors, asset purchasers, and adversary proceeding defendants with creditor rights and bankruptcy issues. 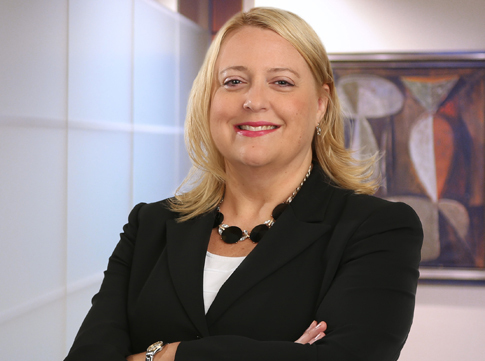 She is an experienced litigator in the bankruptcy courts in Minnesota and other jurisdictions. Amy also assists lenders in real estate foreclosures, receiverships, pursuing loan collateral, negotiating workouts, and drafting commercial loan documentation. Amy's experience includes the representation of creditors in major chapter 11 bankruptcies including Delta Air Lines, Petters Company, New World Pasta, Polaroid, Renew Energy, Kaiser Aluminum, Advantage Rent-A-Car, Interstate Bakeries, Premier Entertainment, and United Homes. For more information or to register, go to: Turnaround Management Association's MidAmerica Regional Conference.